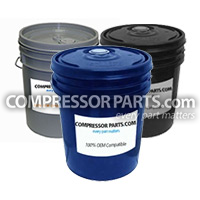 CompressorParts offers a variety of air compressor lubricants including food grade, hydraulic, partial synthetic, synthetic, refrigeration oils, petroleum, AWF fluids, and more. 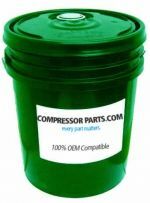 Browse an impressive range of premium quality compressor oils guaranteed to be 100% original equipment manufacturer (OEM) compatible not just in specification but also in performance. We showcase replacement lubricants for popular OEMs including Gardner Denver, Atlas Copco, Ingersoll Rand, Summit, and Sullair to name a few. 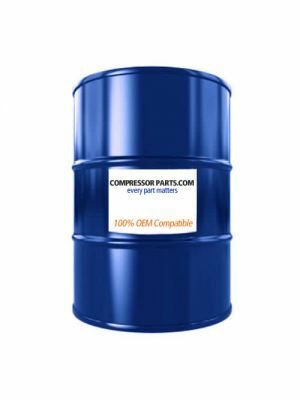 Compressor Oil Cross Reference by Manufacturer: Our air compressor oil and lubricants can easily be cross-referenced by manufacturer. We stock all popular lubricants for Anderol, Chevron, Exxon, and more. MSDS Library: Easily search for safety information on the compressor oil you are looking for. Navigate through our MSDS library by using the Filter by Manufacturer or Search Box options available. Click here to visit our MSDS library. 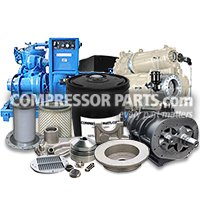 For further product assistance or information needed, feel free to contact our compressor experts at 1-888-855-1123. 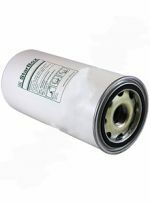 Let us help you find the best lubricant for your air compressor today!